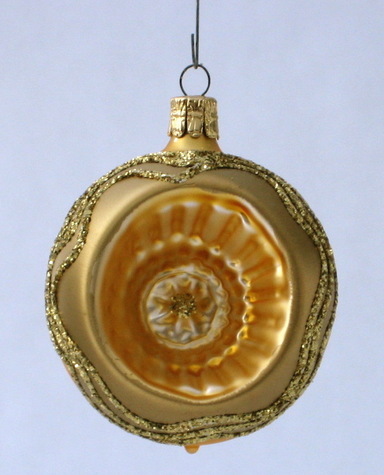 Elegant silvered glass ornament in a golden finish with a center dimple and golden glitter decoration. Embossed metal cap and wire loop hanger. Handcrafted by glass artisans in the Czech Republic.